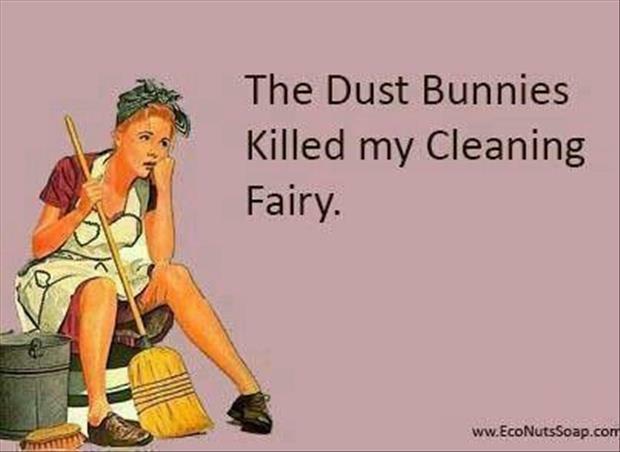 In a previous life, I must have been an overworked, underpaid maid, because in my current life, I have no desire to clean anything. To avoid health department citations (and rats) I do the bare minimum required to keep cholera and typhus out of my home, but that’s the extent of my housekeeping. 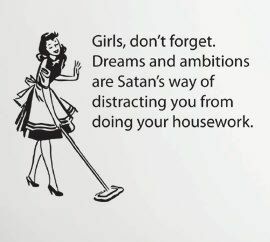 Unfortunately, I’ve learned there are LOTS of things I SHOULD be cleaning. How did I learn this? The goddess of garbage, Martha Stewart, shamed me into facing the dirty truth: I’m a surface cleaner. I don’t dig deep into the crevices to wipe out families of germs who have settled in my tile grout, raising generations of bacterial descendants. I don’t hunt for pathogens under my fridge where complete ecosystems have formed (and died) during my time in this home. Here’s what Ms. Martha suggests I clean on a weekly/monthly basis. Is she mad? Scrub the ventilation hood over my stove. Fluff and rotate sofa cushions. Wash the inside of garbage cans. Buff stone and/or wood floors. Kitchen drains are disgusting and I am not going to go anywhere near those nasty things. The ventilation hood is so sticky with grime it would take a small nuclear device to loosen years of steamed foods. The dog ate one side of our sofa cushion, so I can’t rotate them. Fluffing only sends dust and dog hair everywhere. Garbage cans are supposed to be dirty. That’s why we put garbage in them–not diamond necklaces (which, according to Ms. M, should also be cleaned to keep them sparkly). I don’t have a fireplace. If I clean the floorboards, I can’t track where the mice run off to. There’s too many dead flies. Ewww. So instead of turning over a new leaf like Martha does each fall, I’ll save myself a lot of anxiety and just learn to live with dust bunnies, mites, germs, bacteria, viruses and dead insects. After all this time, it’s almost like they’re family. It’s kind of like ‘if you give a mouse a cookie’ – if I clean even one of those things I’m going to end up having to paint the walls, replace broken things and clean out my closet — I just don’t have the strength for that much domesticity!